After having the weekend to think about it, I still don't have any regrets about quitting the vegan challenge. I am disappointed that I wasn't able to stick it out for the whole five weeks, but I did what felt best for me. And to be honest, that 14 days FELT like five weeks, haha! I don't know if it was just a coincidence or not, but I felt very energetic after I ate some meat and dairy on Thursday night. Instead of feeling very tired on my run Friday, I actually felt better than I have in weeks. 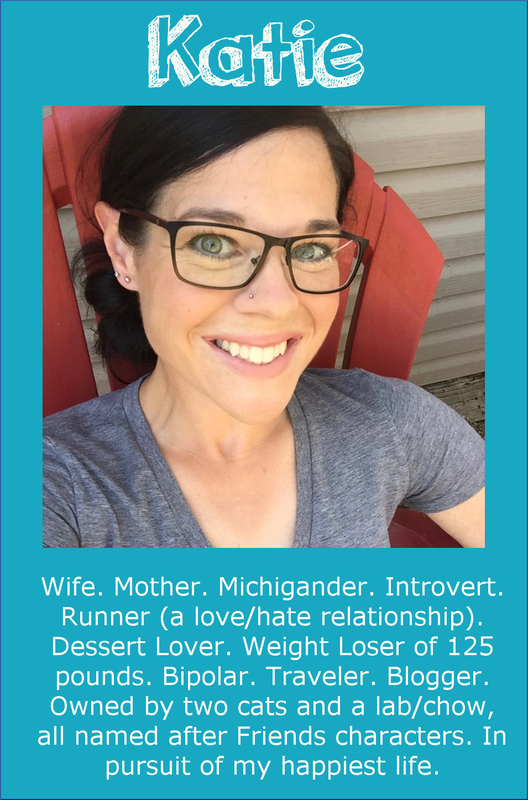 I had set out to run about three miles, but once I started running, I felt so good that I decided to turn it into my long run for the week. 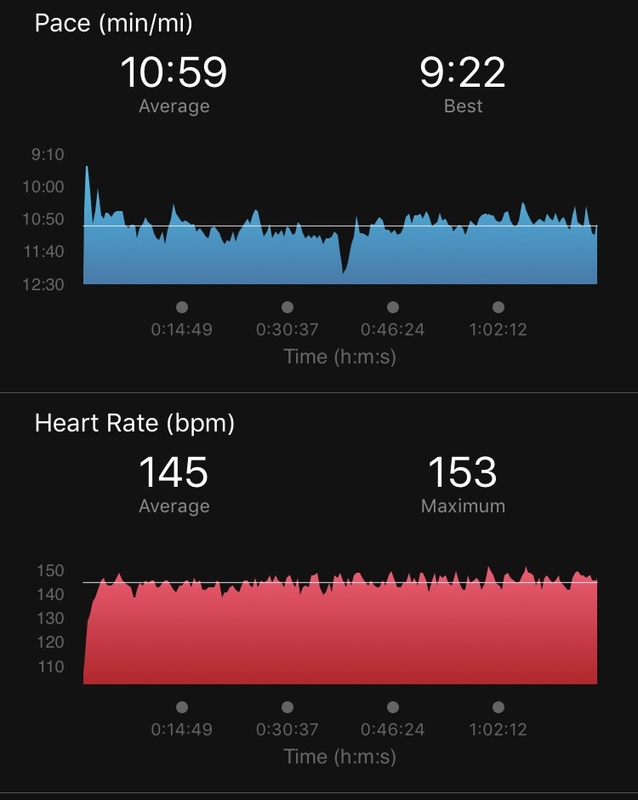 Lately, my MAF training pace has been in the mid- to high-11:00's; but on Friday, at the same heart rate, I was able to run four sub-11:00 miles. I hadn't done that since the very beginning of MAF training. I was feeling so energetic that I was tempted to run 10 miles, but I really don't want to wind up injured by doing too much, too soon, so I ended up running 7 miles. That was the longest run I've done in a while, and it felt so good! Surprisingly, I did not go totally crazy with dairy (foods I was missing) after quitting the challenge. I didn't even get ice cream! I've eaten pretty well over the weekend, and a couple of meals were actually still vegan. Today, I made some Banana Cranberry Oat Bars. I tried to make them during the challenge, but after mixing the batter, I realized the walnuts I'd added were rancid, so I had to throw it out. Today, they turned out perfectly. I LOVE these bars! They taste even better when they are cold out of the fridge, so I'm going to eat these for breakfast all week. 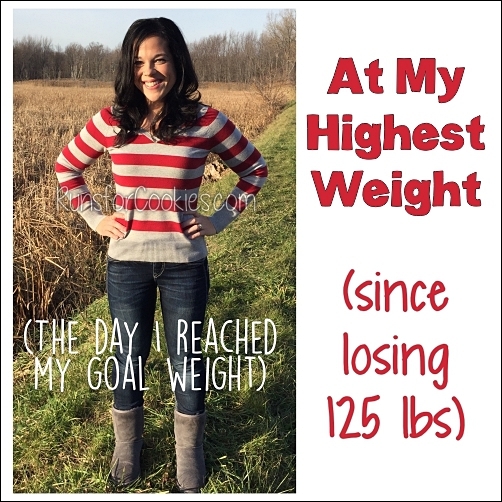 I had counted calories while doing the vegan challenge, and I averaged about 1650 per day--but I didn't lose any weight, which surprised me. 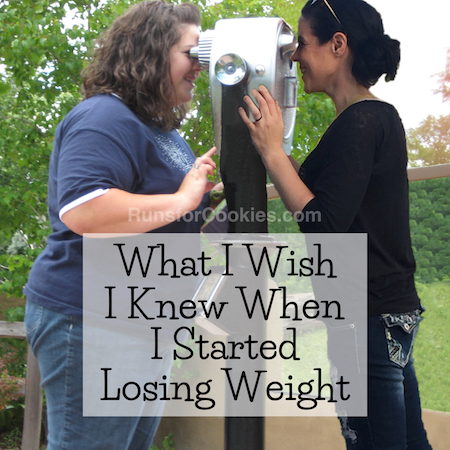 I was eating so healthy that I thought I'd drop weight for sure! I think the biggest difference between the way I normally eat versus the vegan challenge was that I normally eat a good amount of fat; but when eating vegan, my fat intake was very low in comparison (even while eating avocados, nuts, and seeds). It's kind of interesting just how different everybody is. 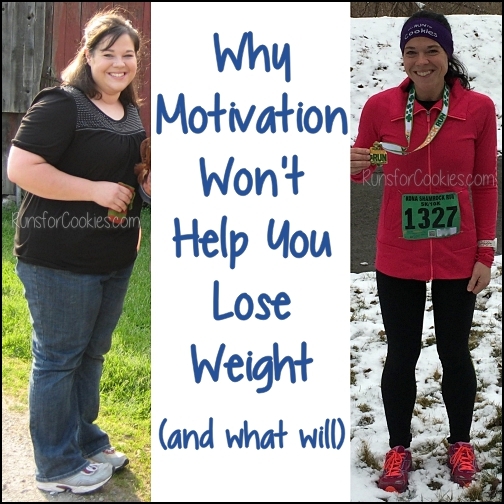 My body apparently likes fat when I'm trying to lose weight. Several people asked me if I was getting less protein during the challenge, but I was actually getting about the same amount as usual. I've never been one to eat large amounts of protein though. The biggest difference, like I said, was in my fat intake (I think I get a large amount of fat from dairy, so when you take the dairy away, the fat goes too). Anyway, I was a little worried I'd binge on all sorts of non-vegan foods when I ended the challenge, but that wasn't the case. I'm continuing to count calories, but I'm listening to my body about what foods I choose to eat. That worked so well for me last year, and it's about as simple as it gets. 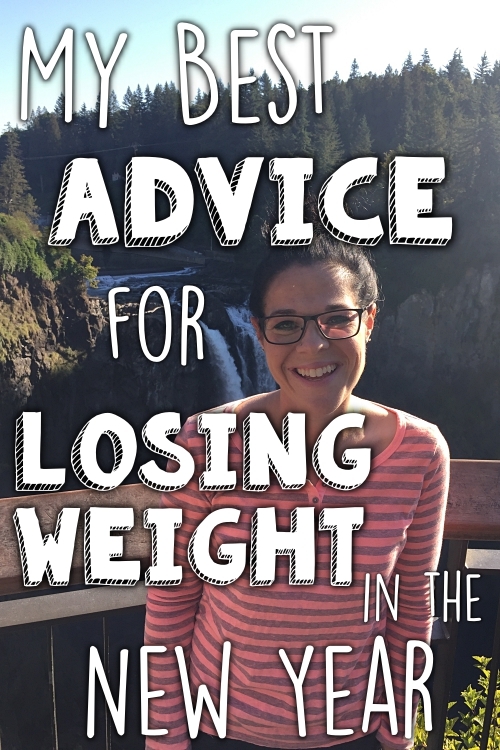 I'm not as focused on weight loss right now, though--it feels nice not to think about it all the time! Of course, I'd like to get back to goal eventually; but for the first time in my life, I don't feel like I'm in a huge hurry. It's pretty liberating. It's a good thing I did my long run on Friday, because we got lots of snow last night (and it's still snowing today). The roads were so bad this morning that my parents' church was actually canceled! I'd never heard of church being canceled for weather. Jerry said he saw some accidents on his way home from work, too. I was thinking I'd go to the rec center and run on the indoor track, but I didn't want to drive (even though it's only a few miles away). Instead, I dusted off the treadmill (seriously, the last time I used the treadmill was in the spring, I think--March?). The kids were playing outside in the snow, so I went out to the treadmill in the garage, and opened up the large garage door. The cold air felt really good, but I didn't have to run on the slippery ground, so it was a nice compromise. I just hoped that the treadmill would still work! Thankfully, it actually started right up. It's probably going to die any day now, but I'm hoping it'll last through the winter at least. I was curious to see what my MAF pace would be on the treadmill. The only goal for MAF training is to keep my heart rate under 146 bpm, so my pace varies for a number of reasons. I started out at 5.5 mph, which is 11:00/mile--I figured that would feel similar to my outdoor MAF pace. After a few minutes, my heart rate was only in the 120's! So, I bumped up the speed to 6.0 mph (10:00/mile). My heart rate rose to the high 130's, so I increased the speed to 6.2 mph and my heart rate settled around 143. I couldn't believe it. The incline was set to 0%, so it was naturally easier than outside anyway; but I wasn't expecting such a huge difference. 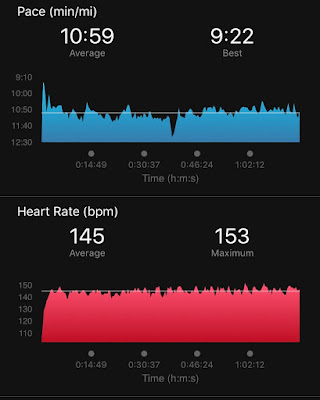 It was actually really cool to be able to move my legs faster than outside, but to keep my heart rate where it should be for MAF training. My Garmin was showing a pace that was much faster than the treadmill showed, so you can ignore that. My pace for the whole run was right around 10:00/mile according to the treadmill. At an average heart rate of 140, that's pretty great. This doesn't translate to running outdoors very well, so I'm not going to compare it to my outdoor pace. If I continue to use the treadmill through the winter frequently, I'll just compare the pace separately from my outdoor pace comparison. I get questions pretty frequently about treadmill running; most often, people want to know if they can effectively train for a race on a treadmill. The answer is yes! While it's good to get in some outdoor running so you can get the feel for it before a race, you can get good workouts on the treadmill. 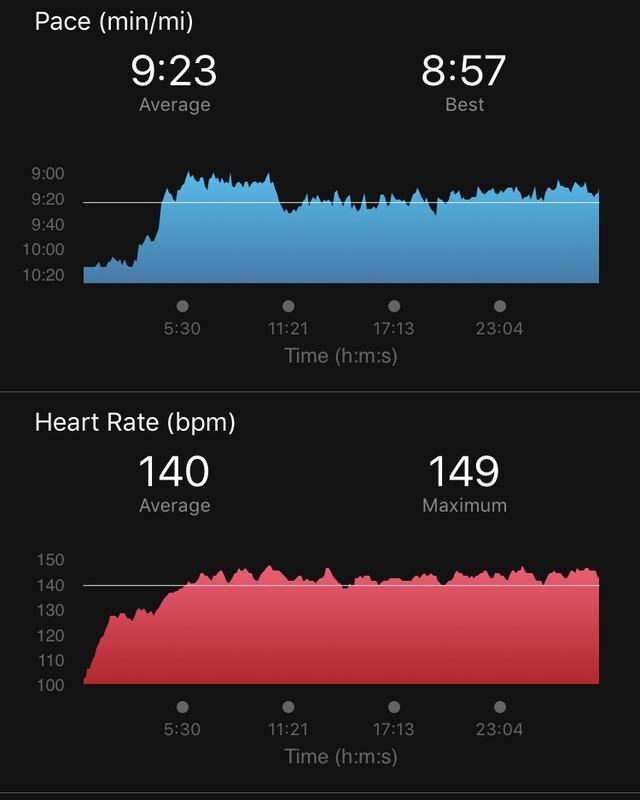 The run I did today is a good example--I was able to run at a faster pace while not exceeding my MAF heart rate, because I find the treadmill to feel easier than outdoor running. My leg turnover was faster, so it's kind of like doing speed work (on a smaller scale). In this way, you're able to work your legs harder without feeling like it's harder, if that makes sense. This weekend has gone by so quickly! I'm working on a project (it's a gift for someone, so I can't post about it just yet) and I spent a lot of time working on it this weekend. I feel like I just blinked and the weekend is over already. I hope everyone has a great week ahead! You might try keeping your nuts in the freezer. There is so much oil in nuts that they turn pretty quickly. I keep mine in the freezer door. I use them quite a bit, but that way they're handy and they keep a lot longer. Usually, I do keep them in the freezer--not sure how they got into the pantry! (Actually, Jerry probably put them away, haha). But yes, nuts usually turn rancid before I can use them all unless I keep them in the freezer. While I eat a lot of fruits and veggies, I think I would struggle without eggs and dairy while still trying to run. Nutrition can be so challenging to figure out as a runner because it can be so individualized. Sounds like you've found what works for you though! And I'm happy to hear MAF is paying off! I started to see results about a month in and, even after stopping the program, am still seeing pace increases! You're right, nutrition is SO individualized! I always encourage people to find what works for them, because what works for me may not work for others (and vice versa). That's awesome you're seeing improvement with MAF training! It's only been about five weeks for me, and I haven't seen any progress yet, but hopefully soon. Going vegan right over Christmas would be no fun for me! I think you did really well to do what you did, and it is always good to try different things and you can continue with the things you really liked anyway. Looks like your HR running is paying off again. Since you blogged about 80/20 and I've been using that, my running has transformed. Have you thought about doing another one of the plans from the book, they are awesome? I actually never did any plans from the book--I tried one, but my body just doesn't like running seven days a week. Without a rest day or two, I get injured. I wrote some plans of my own that use the 80/20 method, though, and they worked so well! That's how I PR'ed my 10K in April, actually. I'm glad your running is going well! Always love reading your blog!! Plan on starting treadmill running after my hiatus! Winter has arrived in NW PA too!! My kids had a snow day today! We got a lot of snow yesterday and through the night. It's funny - running on the treadmill is so much harder for me than running outside, even with no incline! I've been running outside at maybe 5.5 - 5.6 mph and keeping my heart rate down, but on the treadmill 5.2 mph will get my heart rate up too high! It's so strange. I did figure out that my cadence was too low on the treadmill, so being conscious of that has helped, but it's still a little frustrating. I'm glad that it works out well for you, because your winters are no joke and running outside is often impossible. Mine stays pretty consistent, especially on the treadmill. Usually, if you notice that your pace has to keep getting slower and slower throughout the run, it's because your endurance needs some work--which is what MAF training is for! ;) You should (according to MAF training) see that change as you get in better cardiovascular shape. 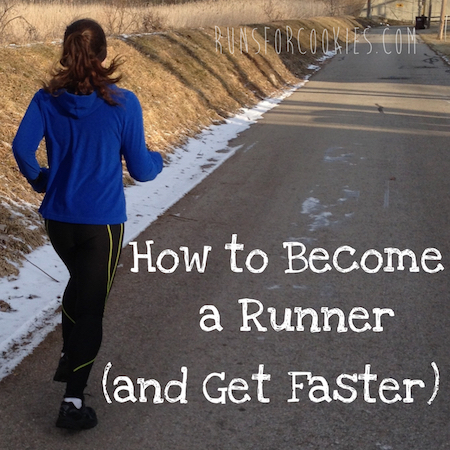 Eventually, you should be able to run for a long time at a consistent pace. Hopefully that's the case for you! I was really into my tracking last year, good job for staying so focused!